Abe Fisher is seeking a motivated, hardworking pastry cook who is excited to learn and grow every day. The right candidate will have a great attitude and a commitment to the team. Two years previous experience in pastry is required. Working in the mornings/afternoons and on weekends is mandatory. Self-direction, motivation, and creativity is a must. 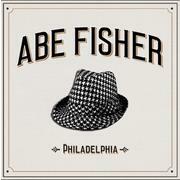 Abe Fisher is a part of CookNSolo restaurants, which owns Philadelphia's groundbreaking modern Israeli restaurant – Zahav, Dizengoff Philly, Dizengoff NYC, Rooster Soup Co. and Federal Donuts.